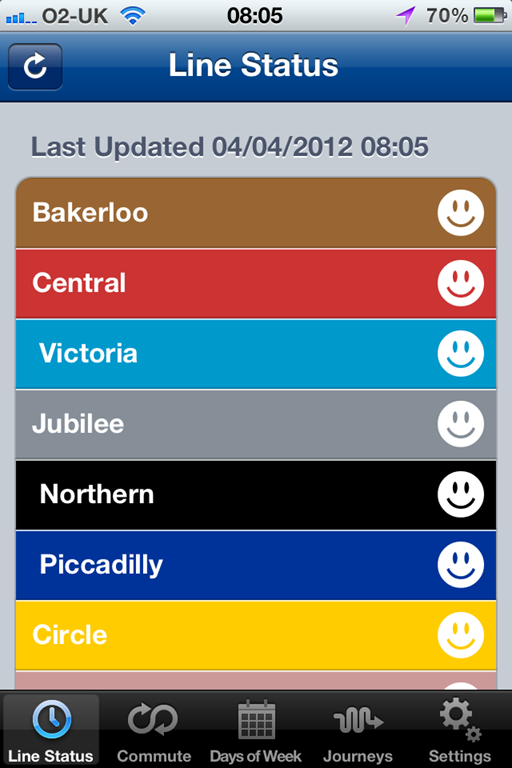 TFL Live Status Information; My ARSE! 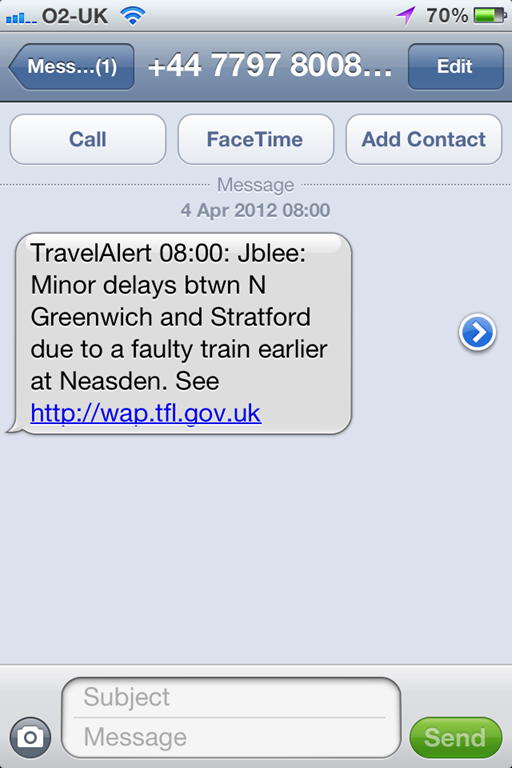 I think I caught out TFL this morning. 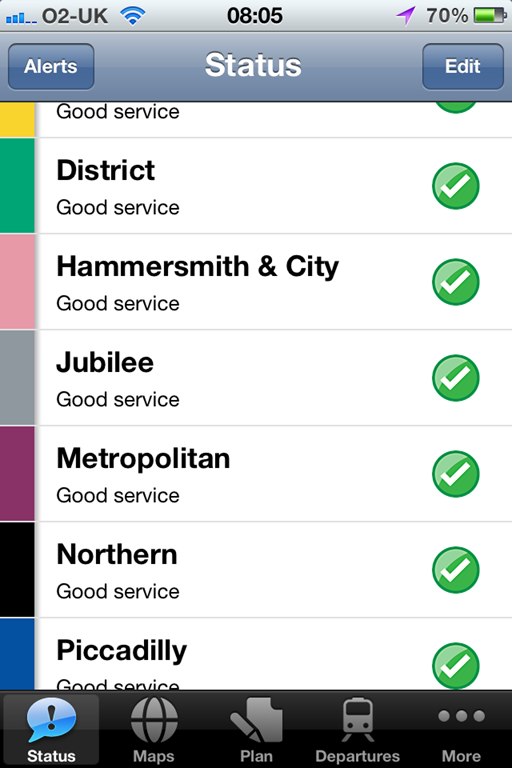 At 8AM I got a text message indicating there were minor delays between two stations on the Jubilee line, but checking two iOS Tube Apps (including my own) indicated there was a good service on the line! I always had my suspicions that TFL didn’t really put the right information into their TFL feed and this is sort of proof! TFL say the feed is updated every 30 seconds and that you cannot display the data for more than 30 seconds without indicating when it was valid until! That’s absolutely rubbish if there is a 5 minute discrepency!